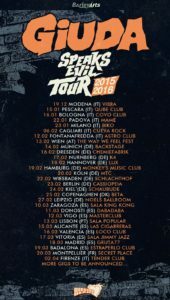 Home / Tours / Giuda – Speaks Evil Tour! 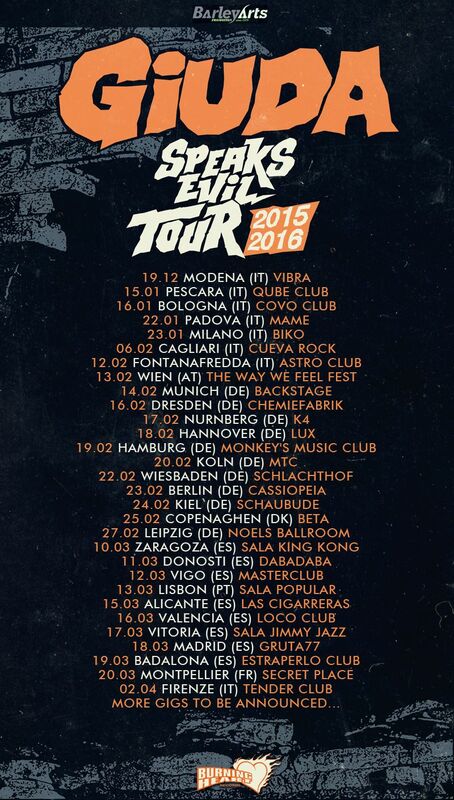 Its that time again, when Giuda hits the road to go play in Europe on their new album Speaks Evil. They will visit familiar countries Germany and Italy, but they will also make a visit in Spain! See the poster for all the dates, more to be added.